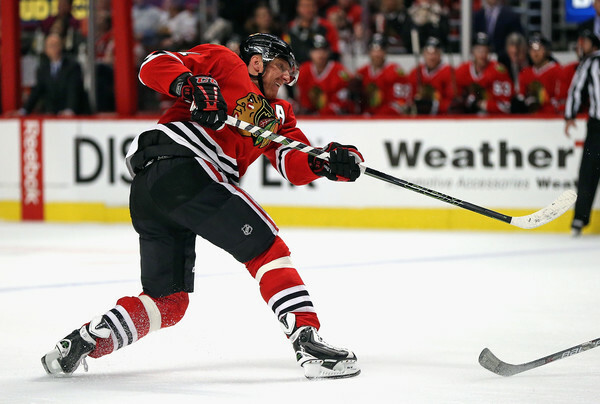 Appropriately, it was an overtime game-winning goal that was Marian Hossa’s 1,100th career regular season point. Hossa’s game-winner against Dallas on Sunday night at the United Center gave him two points in the game, which give him exactly 1,100 in his Hall of Fame career. He passed Glenn Anderson (1,099) with the two-point effort on Sunday, moving into 59th place in NHL history. Hossa joins Jaromir Jagr, Joe Thornton and Jarome Iginlas as the only four active players to reach 1,100 career regular season points. Hope Motte isn’t too banged up. Looked like left knee or ankle. Darling was big. Hosea retrieved the puck afterward and tossed it into the crowd. Lucky recipient has a valuable puck! Nice we came back from down 2 …bet that doesn’t happen to often with Dallas but they are hurting. Anisimov becoming a super star.. can he stay on the path.? 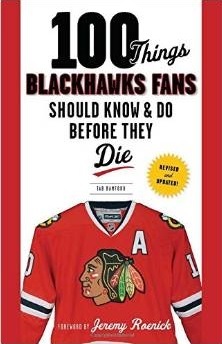 .. Toews big three points continues his hot streak as well. Things are looking mighty good. His stat line is unbelievable. He is in the top 5 for active players in the following catagories: games played, goals, points, plus-minus, power play goals, short handed goals, and game winning goals. He is a class act and has been a huge contributor to the team’s success. In my opinion he is probably the most underrated superstar in Chicago sports. Kieth- agree 100%. I would go so far to say that he is the BEST free agent signing in all Chicago sports. I think all the reports of his demise were premature to say the least. All those years of 20 + goals came to an end last year, but I still think he is in the top 5 of all players when playing without the puck. Not to mention his value with younger players, (ask 19.) and just PURE class. Sorry about the capitols brokerwayne. He’s been the definition of ‘asset’ since arriving in Chicago. My daughter and I were at the Hawks game in Columbus in 2012 when Hoss scored his 900th point. Seems like yesterday! Oh, ya, one other thing happened that night. Marian gave his stick to my daughter as he left the ice after the Hawks victory….priceless!